Queen Seondeok leads the Koreans, whose primary focus appears to be research and also chopping down their foes with their unique unit, the bolt-firing Hwacha. 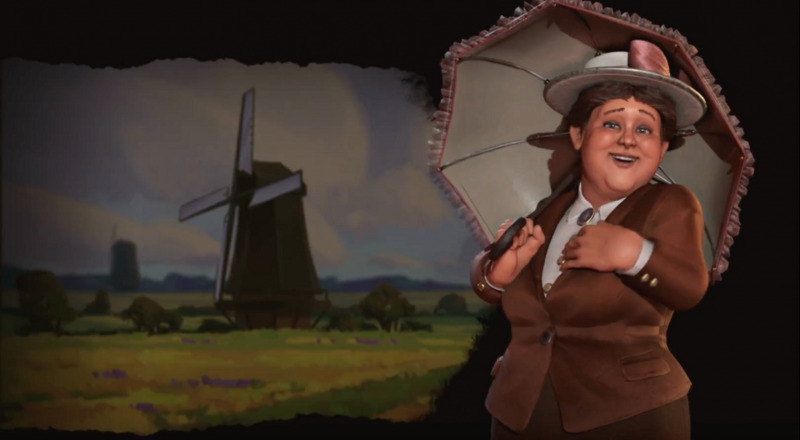 Next up is Queen Wilhelmina, the Dutch monarch whose grace and charm helped her achieve the longest reign in the nation's history. The Dutch are, naturally, focused on coastlines and oceanic trade routes. Last, but certainly not least, is Genghis Khan of Mongolia. His combination of trade bonuses and tough, mobile cavalry seems like it'll be pretty deadly in the early stages of the game. That's all for now, but I suspect we'll get plenty more details in the days between now and the game's release on February 8th. I'm already planning out the best combinations for some online co-op. Who would've thought the Dutch and Mongolians could get along so well? Page created in 0.5506 seconds.